England were one of the most unexpected sensations of the 2018 World Cup catching pundits and fans off guard when they reached the semifinals ahead of favourites like Brazil, Germany, Spain, Uruguay, Argentina, and Portugal. Although England manager Gareth Southgate was applauded for his team’s remarkable feat in the tournament, he did something strange in their route to the semifinals when he decided to rest some of his best players in their third group stage game against Belgium which appeared to be an obvious attempt to lose in order to avoid some of the stronger teams like Brazil, Argentina, France, and Portugal. This strategy to avoid stronger teams proved to be effective as England reached the semi-final by defeating Colombia (13) and Sweden (25), both ranked lower than England (12). But did this negative tactic to lose on purpose in the group stage prove to be the ultimate cause of their demise in the semi-final game against Croatia? In this article, I look at the factors why that may be true. The English governing body sent a very young side to the 2018 World Cup who saw the tournament as an opportunity to gain some valuable experience (Reuters, 2018). Southgate’s young side received much praise after their comfortable wins against a weaker Panama and Tunisia in the group stage which saw them advancing to the knockout stage by finishing 2nd in their group after losing to a strong Belgium team. England looked more composed with each game as they advanced to the semi-final by securing a convincing 2-0 win over Sweden in the quarterfinal and defeating Colombia in the round of 16 in a penalty shoot out breaking a near 30-year-old curse of losing in the penalty shoot out. The ‘football’s coming home’ chants grew louder among English fans all over the world and the internet who started believing this was their year (CNN, 2018; Blum, 2018). When England secured their knockout stage spot having won their first two group games, Gareth Southgate was faced with a unique dilemma in their 3rd and final group game against Belgium – a win would place them in the same bracket (tagged as the ‘bracket of death’) with Brazil (2), France (7), Argentina (4), Portugal (3), and Uruguay (17), while a loss would secure a spot in the same bracket with Colombia (13), Sweden (25), Switzerland (11), Croatia (18), Denmark (19), Russia (65), and Spain (8). Spain was the only allegedly strong team in the 2nd bracket and there was much speculation in the media over whether England should lose the game to Belgium in order to avoid Brazil, France, et al (Philpott, 2018). Southgate seemed to have taken a shine to the idea as he decided to rest 9 players from his starting lineup including the top scorer of the tournament Harry Kane and other key players like Rahim Sterling, Jesse Lingard, and Kieran Trippier replacing them with bench players. This was seen as an obvious attempt to lose the game in order to avoid facing Brazil, France, et al. To be fair, Belgium may have also tried to lose that game as they also rested several key players in that game including Romelu Lukaku and Kevin De Bruyne (Rogers, 2018). England eventually ‘won’ the battle of losing and Southgate was successful in his mission to avoid facing Brazil, France, Argentina, Portugal, or Uruguay until the semi-final or later. Having avoided Brazil, France, et al. England marched its way into the semifinals by cruising passed Colombia and Sweden. While Southgate received much praise for advancing to the semifinals with such a young side one of his criticisms was that English skills were yet to be tested as they had never faced a considerably stronger side in the tournament (except for Belgium whom they lost to) (Ames, 2018). And No Spain to face in the Semi-final as they were already eliminated earlier in the tournament! All they had to do was beat an oh-so beatable Croatia! But this lack of experience facing stronger opponents in the tournament proved to be crucial in the semi-final game against an inspired Croatian side who were having quite the fairy-tale run of themselves. Croatia was ranked lower (20) than England (12) and the English fans were very optimistic about their chances of advancing to the final for the first time since 1966. When England scored the first goal against Croatia the English fans were all but thanking their lucky stars, and possibly signing petition for the knighting of Gareth Southgate for his ‘genius’ to avoid Brazil, France, Argentina, Uruguay, and Portugal en route to the semifinals. As England finished the first half with a 1-0 lead, their first final appearance in 52 years seemed only a matter of time, only 45 minutes away. Unfortunately, England ran out of luck as Croatia scratched and crawled their way back into the game in the 2nd half, silencing the ‘football’s coming home’ chants and eventually taking the game away 2-1. The English temperaments were finally tested as they were under pressure for the first time in the tournament, and they failed miserably. The Croats proved that they were the real dark horses of the tournament as opposed to England who appeared to have relied too much on luck and avoidance to remain in the tournament. The Croatians also employed the same strategy to avoid being in the same bracket of death with the likes of Brazil and France but not without a subtle difference – instead of throwing away a game and enforcing a 2nd place in the group, they finished top of their group by winning all three of their group games including a dominating 3-0 win against Lionel Messi’s Argentina. And they never had to look back in the tournament as they stunned the whole world by reaching the final to face France. So, just how critical was this avoidance strategy by Southgate? Was it a negative strategy or a smart one? Did it help England reach the semifinals or did it hurt them from advancing further? This article discusses how negativity may impact a team’s rhythm and flow from the perspective of performance psychology. Within the current literature of sport psychology positive precursors such as positive thinking, positive self-talk, words of encouragement, past positive experiences are highly associated with positive consequences, e.g. positive feeling, momentum boost and consequently positive results, or winning (Brady & Grenville-Cleave, 2017; Taylor & Wilson, 2005, p.30). Within the applied field of the discipline there is great emphasis on formulating intervention tools or mental skills training to boost motivation, confidence, and optimism among athletes as they are highly associated with optimum performance or positive results (Kornspan, 2018). Shortcuts like cheating, intimidation, finding a loophole in the system or points table may provide momentary success but these are no substitution for the real antecedents of optimal performance or long-term success such as hard work, dedication, focus, and a positive mindset (Hanrahan & Andersen, 2010). In other words, one may win a match by taking advantage of an injured opponent, deceiving the referee, or sneak their way to the semifinals by avoiding stronger opponents, such negative approach will not help a team or individuals reach their optimal level of performance or keep them at the top in the long run. The purpose of an event like the World Cup is to find the best in the word. Although it is widely accepted that the best team does not always win the world cup, but whoever wins it is because they were the best version of themselves. But in England’s case, it seemed like they did not necessarily thrive on reaching their optimal performance and be the best they can be by pushing themselves over the limits, instead they were content with their mediocrity and thrived on seeking shortcuts by avoiding stronger oppositions. Technically, England did not cheat in the tournament by losing a game on purpose because they did not break any rule, but it is still an extremely negative mindset to have which may not have helped the team’s confidence in a positive way throughout the rest of the tournament. Just how harmless was the ‘harmless’ loss against Belgium? Confidence, often used interchangeably with self-efficacy, is one’s belief to perform specific task(s) or to be successful in achieving certain goals. It is a topic of central concern to sport psychology researchers and practitioners as the evidence is very clear about its positive correlation with success and when athletes visit a sport psychologist for assistance, confidence or lack thereof is a prominent reason for their visits (Kornspan, 2018; Weinberg & Gould, 2011; Taylor & Wilson, 2005; Hanrahan & Andersen, 2010). Apart from empirical findings, anecdotal evidences of the correlation between confidence and success is visible nearly in every sport. Here are a few quotes from Roger Federer about confidence, “a man who wins is a man who thinks he can”, “Once you find that peace, that place of peace and quiet, harmony and confidence, that’s when you start playing your best.” Think about any successful athlete of any generation, from Mohammad Ali, Pele, and Michael Jordan, to Michael Phelps, and Usain Bolt – they all had one thing in common, they all had beliefs in own ability on an extraordinary level. From, Ali’s “float like a butterfly, sting like a bee”, to Michael Jordan’s comments about being cursed with the mentality of competitiveness (Rosenthal, 2018), every champion of this world radiates confidence when they speak. You simply won’t find athletes who have made a name for themselves in their sport while lacking in self-belief. There was a two-fold ramification to England’s loss against Belgium in terms of its effects in their confidence level. The first impact pertains their decision to throw that game away. As underscored by famous sport psychology scholars Weinberg & Gould (2011), when athletes are not confident, they often play not to lose: They are tentative and try to avoid making mistakes. This best explains England’s scenario because when they entered the 3rd game against Belgium, they were so concerned with avoiding a loss against Brazil or France, they didn’t even mind losing a game against Belgium. This is a clear indication that they did not have the confidence to be successful against those opponents. Weinberg & Gould (2011) further stressed that self-doubts undermine performance, create anxiety, break concentration, and cause indecisiveness. They may not have realized it but that is precisely what followed them as the tournament progressed. Here is how Southgate dented the team’s confidence when he decided to rest 9 of his starting players. When you publicly make a choice to avoid France, Brazil, Portugal, or Argentina in route to semifinals, you are sending a direct and literal message to those teams, and every other remaining team in the tournament, but worst of all, on an unconscious level, to yourself. When England chose to lose to Belgium, it was a public declaration, if not a concession, that we are lesser than Brazil, France, and Spain, and we don’t want to face them until the final. Among many things that help improve confidence include accomplishing through performance, acting confident, thinking confidently, using imagery and goal mapping, optimizing physical conditioning, and preparing (Weinberg & Gould, 2011). Unfortunately, negative thinking or escapism isn’t one of them! Therefore, the decision to walk backwards did not help their confidence from a broader perspective. 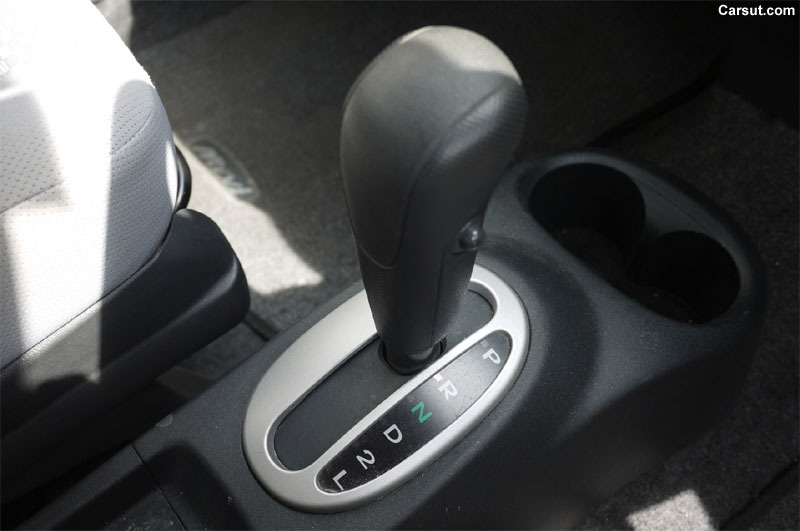 When you put your car into ‘Reverse’ while driving, an automatic transmissions system will shift the gear into ‘neutral’ and a manual transmission will potentially damage your gearbox and possibly your engine. But one thing is for sure – you will no longer accelerate, and you will lose momentum! When Southgate decided to lose against Belgium it was essentially shifting into ‘reverse’ at a time when his team was accelerating at a high pace having won their first two games. Momentum is a precious and key ingredient to building confidence, and England lost valuable momentum as a result of their decision to lose, and the loss itself thereafter. This loss of momentum was evident in their first knockout game against Colombia who were playing without their best player James Rodriguez. England failed to beat them in regular time (1-1) and won the game narrowly in a tie-breaking penalty shoot-out. When England beat Sweden (2-0) in the quarterfinal, all the negativity and struggles seemed like memories of distant past. They have avoided Brazil, Argentina, Portugal, Uruguay, they have broken a 30-year-old curse by winning a penalty shootout and guess what – they don’t have to face Spain in the semi-final thanks to Russia for eliminated them. England were more than happy to face Croatia in the semi-final, but unfortunately Southgate’s young side finally ran out of luck, and all their negativity, escapism, and excessive dependency on fortune finally seemed to have caught up to them. Despite taking the lead, The Three Lions simply had no answer for an inspired Croatian side who came back from behind to win the game. Taking shortcuts or losing a game to take advantage of a tournament draw is not completely unheard of in sport. In the American professional leagues like the NBA or MLB, it is fairly common for lower-tier teams to lose towards the end of a season to increase their chances on the following year’s draft lottery. In club football it is also not unusual for managers to experiment or rest important players during less important games over the course of an 8-month long season. However, the world cup is a significantly short-lived tournament with only 3 group games and a total of 7 games for a team that advances to the final (or the 3rd place game). Hence, the margin of error is very low If not non-existent. One moment can seal the fate of a team, one goal can take a team to the path of glory while one small mistake could send a team home. There is no time to stop and reflect, experiment, backpaddle or shift into reverse. In a seven-game tournament, that is if you make the final, you must always accelerate and improve in every game while eliminating everything on your way. The England-Belgium matchup is not the only game in world cup history to witness teams playing with reduced effort in order to take advantage of the points system or the draw. Germany and Austria perpetrated in something similar in a 1982 World Cup game famously known as the “Disgrace of Gijón” when the teams played with minimized efforts in an attempt to secure a specific outcome (a 1 or 2 goal win by Germany) that would guarantee progression for both. Both teams were eventually made to pay in the tournament – Austria were eliminated in the 2nd round while the Germans lost in the final against Italy. Although history will remember the 2018 team as one of England’s most successful ever because they have advanced to the semifinals only on two other occasions including in 1966 and 1990, Southgate’s bizarre plot to reach the semifinals will always remain a topic of great controversy. If he were to be more successful in this tournament and win the cup, this would have been the most diabolically twisted success story in the history of the world cup and coaches all over the world would perhaps model after his tactics. But that was not to be, he has only managed to reiterate what has already been long established by research and anecdotes that there is no shortcut to real success. If you want to be a world champion, you must think and behave like a champion in every game of the tournament. You cannot compromise on your winner’s mindset even for a day! Brady, A., & Grenville-Cleave, B. (2017). Positive Psychology in Sport and Physical Activity: An Introduction. New York: Routledge. Cox, R. H. (2002). Sport Psychology: concepts and applications. Hanrahan, S. J., & Andersen, M. B. (2010). Routledge Handbook of Applied Sport Psychology: A Comprehensive Guide for Students and Practitioners. New York: Routledge. Kornspan, A. (2018). Fundamentals of Sport and Exercise Psychology. Champagne, IL: Human Kinetics. Taylor, J., & Wilson, G. S. (2005). Applying Sport Psychology: Four Perspectives. Champaign , IL: Human Kinetics. Weinberg, R., & Gould, D. (2011). Foundations of Sport and Exercise PsychologY (5th Edition, Kindle Edition ed.). Human Kinetics.